Frame buckling and strength analysis using the plug-in for FEMAP and/or ANSYS. An easy to use tool to check the strength of beam members and its connections according to standards like API-RP-2A, ISO19902 and AISC-360. The video below shows you briefly how quick you can perform a check on your frame structure when working in FEMAP or in ANSYS. Video: "FEM Postprocessing: structural strength check of frame structures in FEMAP with FEMDS software." How to strength check a frame structure in FEMAP with FEMDS software: This video shows you how easy it is to check your FEA beam structure in FEMAP according to an international standard. 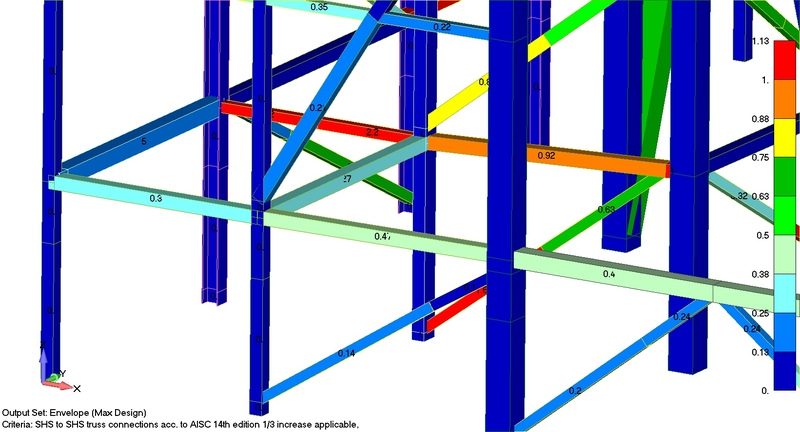 Video: "FEM Postprocessing: structural strength check of frame structures in Ansys with FEMDS software." How to strength check a frame structure in ANSYS with FEMDS software: This video shows you how easy it is to check your FEA beam structure in ANSYS according to an international standard.